Been wondering what beauty products dermatologists and beauty editors crave? We partnered with Aquaphor® to find out. Come Winter, you better believe that dermatologist offices become flooded with garden-variety concerns, ranging from itchy, red skin to dry, cracked lips. Curious to learn what advice these skincare specialists dole out to their patients — and what products they recommend — we reached out to New York City board-certified dermatologist Dr. Rosemarie Ingleton. An expert in the general and cosmetic dermatology space, she has heard her fair share of dry-skin woes, which routinely peak during the cold-weather months. "At this time of year people come with complaints related to dry skin and eczema," Dr. Ingleton said. "Dry skin always has to be addressed, though. Even in Spring and Fall, there is always some level of dry skin people have to counter." To soothe her patients, Dr. Ingleton starts by learning about her patients' skin habits. She'll ask about shower frequency, type of product being used in the shower, the temperature of the water (water that's too hot can dehydrate the skin), and what they do afterward for hydration. "There's a large subset of the population that does not use anything after they shower. They just shower and they are gone." Once she does that, she makes a surprisingly affordable recommendation. 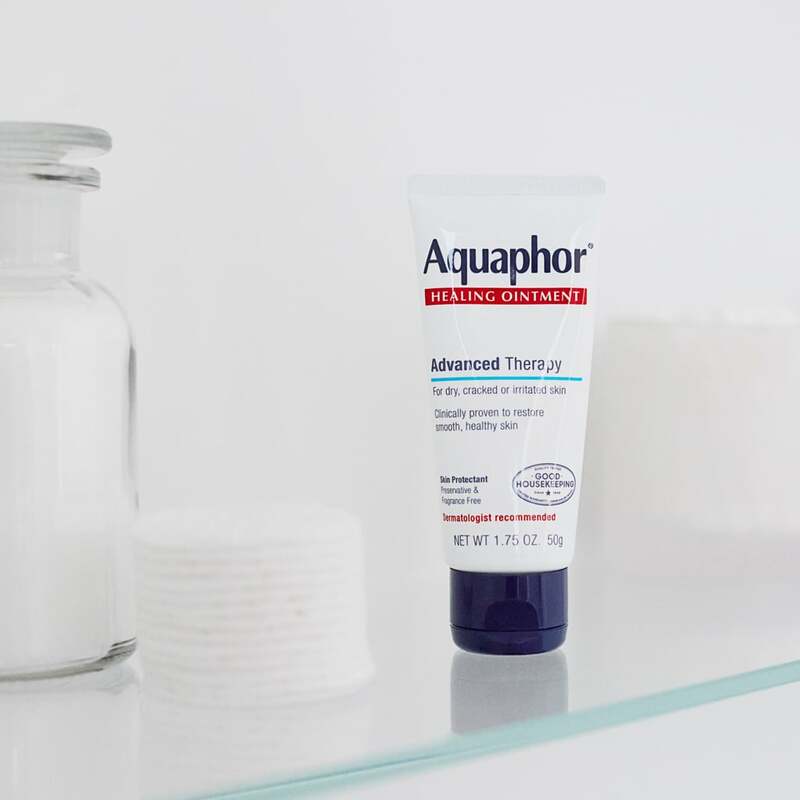 "[For] people who have cracked skin or have dry skin, I recommend getting the skin damp and then applying Aquaphor® as a layer of hydration. I do this for my superdry patients," she explained. "The hands and feet do really well with it." 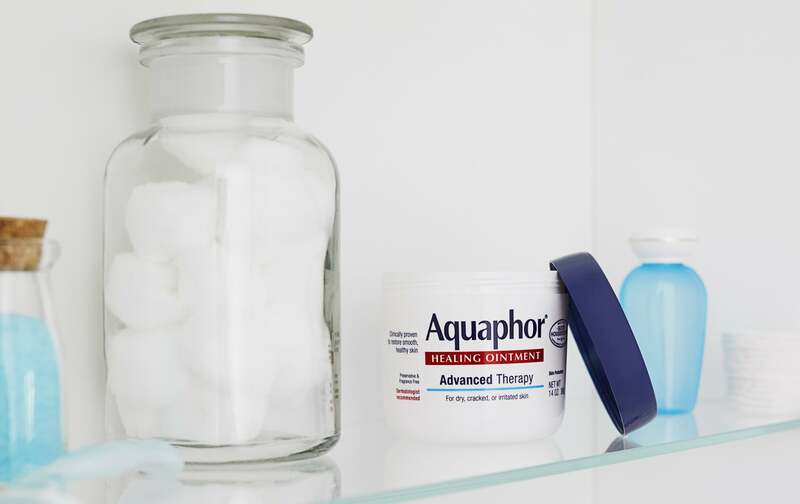 Dr. Ingleton trusts Aquaphor® Healing Ointment ($10) because it's simple and versatile. "The reason I recommend it is because there's no fragrance, which is great because that's the number one allergen. It's also multifaceted and can be used for a number of conditions." But dermatologists are not the only ones reaching for this product. POPSUGAR Beauty editors are as well. We tapped them to see how they felt about using the product. Lauren Levinson, senior editor, Beauty said, "I love to use it on my lips. The fact that it is not scented and soothing makes it a bag staple. It's the best for flights since you can really put it anywhere!" Joanna Douglas, our Native editorial director also relies on the multi-tasking qualities of this tube. 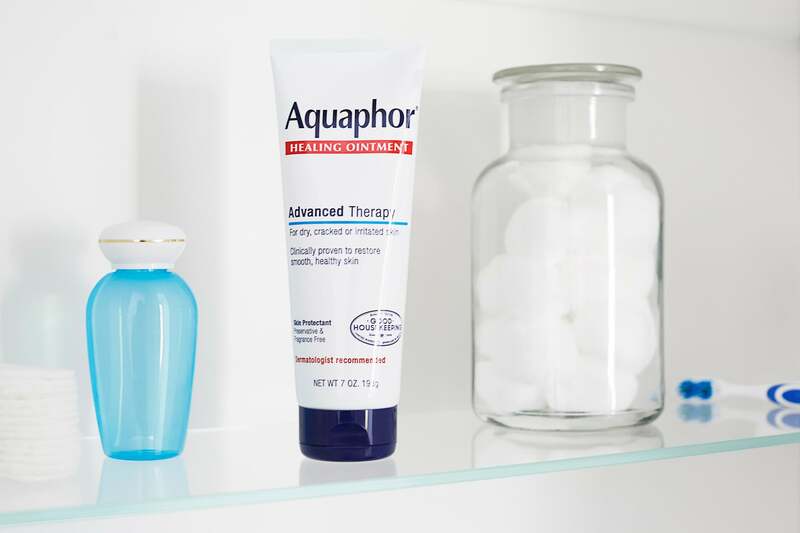 "I use Aquaphor on a regular basis but truly count on it in the Winter when my skin is in rough shape," she said. "If I have a bad cold I'll put some around my nostrils and Cupid's bow area before bed. When I wake up, my irritation is magically gone. It's also my savior for chapped lips, dry cuticles, even scaly elbows." Check out more from Aquaphor!